Several people made comments on the recent Conan Doyle post regarding the Boer War, so the conflict was on my mind. If you're not familiar with these wars, basically, in 1652 the Dutch founded a settlement that would eventually become Cape Town. 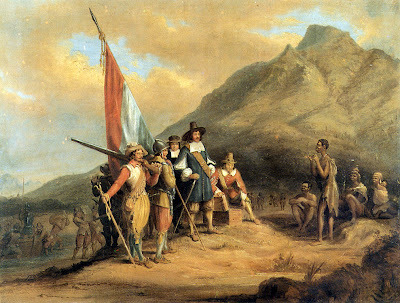 Other Flemish, German, and French settlers would join them and collectively these Boers (from the Dutch word for farmer) would continue to settle and farm inland. As the British were prone to do, they intervened militarily during a period of uncertainty and then decided that they'd like to stay, annexing the Cape Colony for themselves in 1806. This pushed the Boers further inland where they founded new colonies. Diamonds were discovered in Boer lands in the mid-1800s and British miners and settlers flooded into the area. 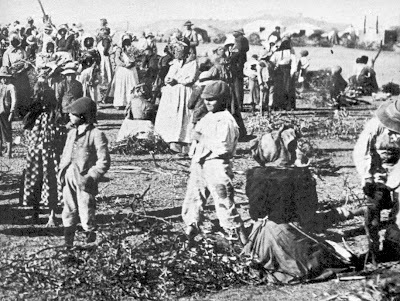 The Boers resented the new immigrants, denied them a vote and taxed them at a higher rate. The British, eager to secure the mineral wealth for their Empire, came to the assistance of the miners and fought the First Boer War from 1880 to 1881. 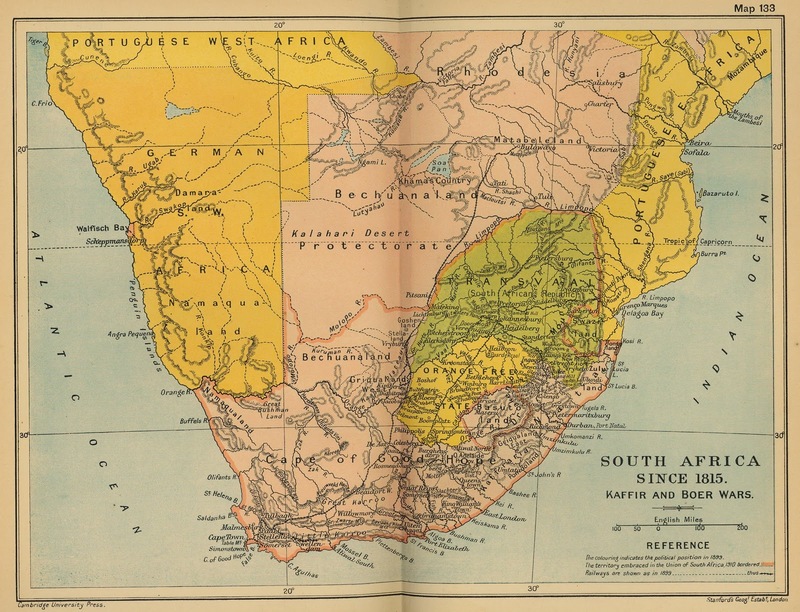 The Boers, more familiar with their territory, were successful in repulsing the British encroachment. 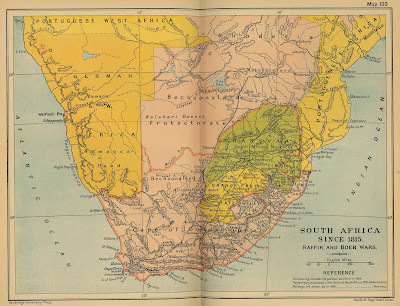 Gold was discovered in Boer territory in 1884 and this brought a renewal of the earlier conflict in what is termed the Second Boer War (1899-1902). The British, shamed by their earlier loss in the First Boer War were determined from the outset not to lose a second conflict with the Dutch farmers, so from the beginning they arrived with an overwhelming force augmented with men from many of the British colonies. From the outset, the British secured costly victories in the open field against the Boer armies of the Transvaal and Orange Free State. 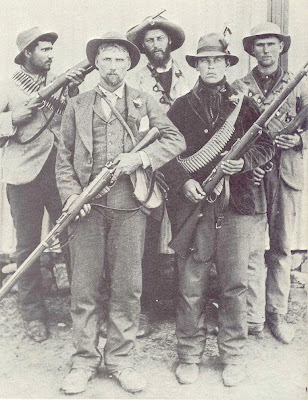 When it became clear that the Boers did not have the strength to match the British in a conventional war, the Boer fighting units largely disappeared and adopted a protracted guerrilla campaign, blending in with civilians and garnering their aid and then hitting the British when it was convenient to do so. This is not to say that the entire war was unconventional, but even when it was fought in a conventional manner, unconventional methods were employed. Perhaps the most famous personage from the Second Boer War was Robert Baden-Powell. Baden-Powell was already a bit of a celebrity before the conflict. He had risen rapidly through the officer ranks, serving with skill in India and performing reconnaissance against the Zulu and was mentioned in dispatches during his stay in the Natal Province. He also spent time as an intelligence officer in Malta where he traveled the area posing as a butterfly collector. Within his illustrations of butterfly wings, he would include detailed plans of enemy military installations. 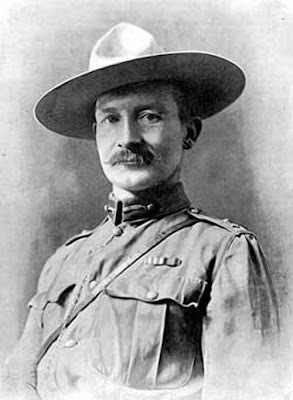 Baden-Powell further honed his reconnaissance skills in the Matobo Hills during the Second Matabele War in what is now Zimbabwe and played a key role in the British history against the Ashanti in the Fourth Ashanti War. 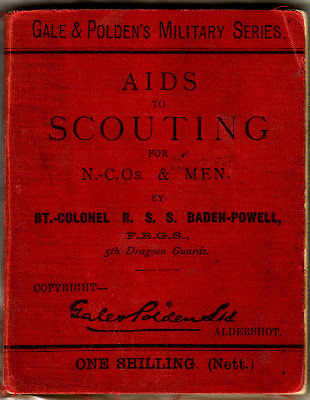 Baden-Powell returned to India to lead a cavalry regiment and where he wrote a military manual based on his experiences called Aids to Scouting. By this time, Baden-Powell was the youngest colonel in the British military and his success had became the envy of other officers. When he was recalled to South Africa to assist in preparations for the Second Boer War, his superior officers ordered him to reinforce the interior of South Africa with the intention of tying up as many Boers as possible to allow for later landings of British forces in the event of an anticipated outbreak of hostilities. Basically, he was to try and delay the Boers as long as possible before inevitably capitulating to their superior numbers. Instead of choosing an offensive strategy, Baden-Powell instead chose to reinforce the strategic town of Mafeking, a rail junction on the border of Transvaal. He arrived with 800 men, but also added a few hundred men from the town as well as a small contingent of natives. 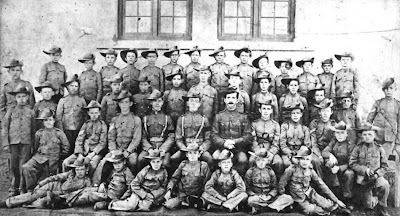 Young cadets from a local military school served as couriers and would later serve as Baden-Powell's inspiration for the Boy Scouts. Hostilities soon commenced and Baden-Powell put the town to work employing cunning subterfuge (e.g., fake land mines, Quaker Guns, improvised search lights from biscuit tins, soldiers instructed to high-step over nonexistent barbed wire) to fool the force bearing down on Mafeking. 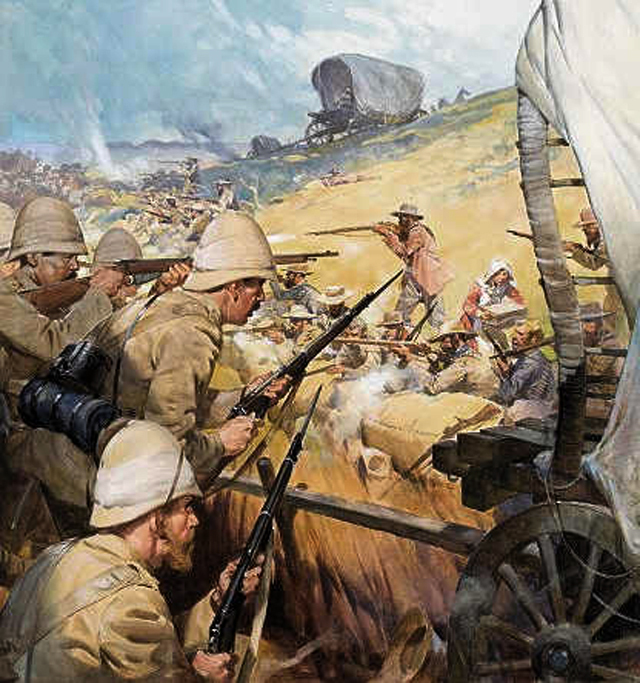 As the Boers surrounded Mafeking, it became clear that the British force was woefully outnumbered by about 1,500 men to the approximately 8,000 Boers. Baden-Powell, not wishing to reveal how tenuous his situation was, ordered several daring attacks on the superior force surrounding Mafeking, confusing his besiegers. 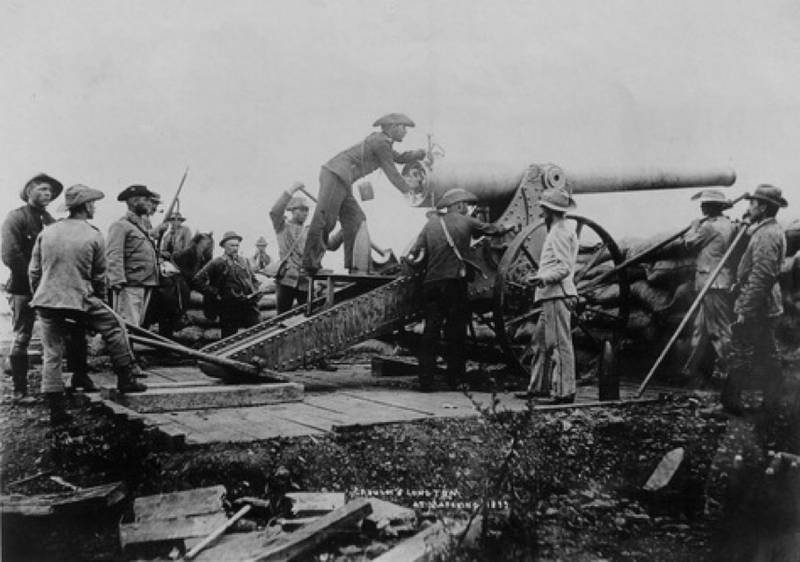 The early part of the war, before reinforcements landed, did not go well for the British. Therefore, the Siege of Mafeking became somewhat of a news spectacle as the town heroically held its own. 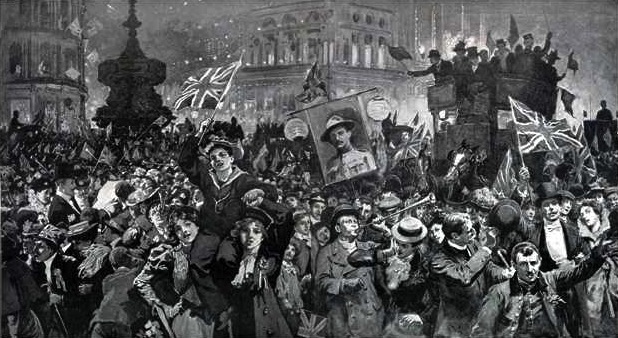 Baden-Powell conducted the defense of the city with aplomb. Not only did he conduct the defense with military acumen, but he did so while keeping the spirits of the town up and with good humor. Although daily under a constant barrage of shells, he published a paper, printed currency, made sure the theater continued to stage plays, negotiated a Sunday cease fire, and kept the populace entertained with sports. 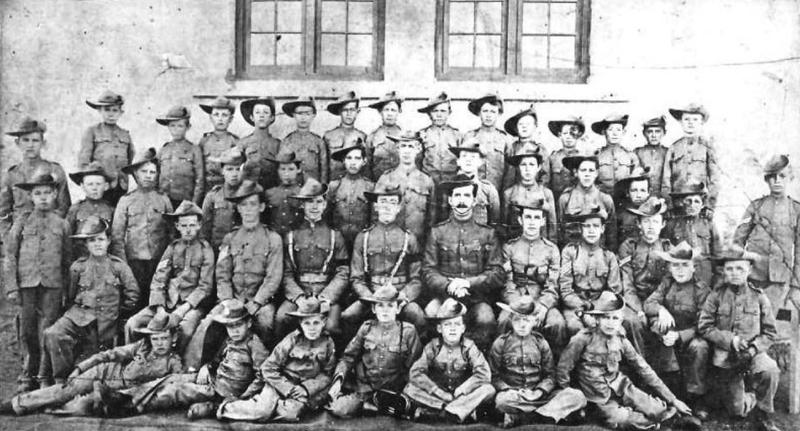 On the 200th day of the siege, the Boer commander, Sarel Eloff, wrote a letter to Baden-Powell saying that he had heard that things were getting monotonous for those in the city, but heard that the British were playing cricket on Sunday and invited his men out for a game against the Boers. Baden-Powell replied that he was still in a match with the score to date at 200 and not out yet. He went on to say that three bowlers, Snyman, Cronje, and Botha (three previous Boer commanders) had tried to get Mafeking out without success and that Transvaal should put in someone else. After 217 long days a relief column was able to break through and relieve Mafeking. 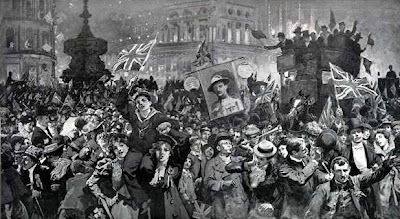 The news was greeted with jubilation and merriment back in England and made Baden-Powell a national hero. He was promoted and made the youngest major-general in the army. His book Aids to Scouting became a bestseller among boys eager to learn more and spawned the Scouting movement. Sadly, not all the Boer War was conducted with as much skill and fortitude as Baden-Powell's stand at Mafeking. 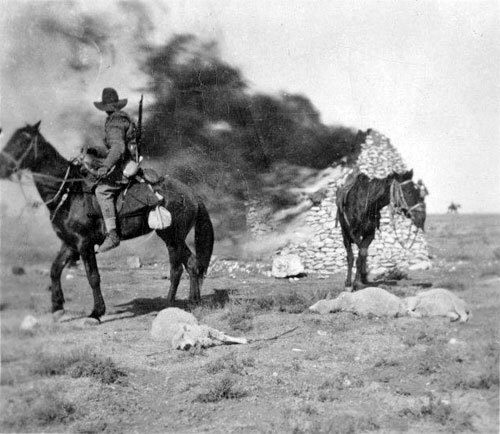 After the siege was lifted, the war began to turn against the Boers. Banking on their success in the First Boer War, the Boer military began to dissolve into hit-and-run guerrilla units that would strike at the British and then blend in with the supportive civilian population and the British began to get bogged down in a protracted war. Determined, not to loose a second conflict, the British began to employ draconian methods against the civilian population. These included the first widespread modern use of concentration camps for a civilians. 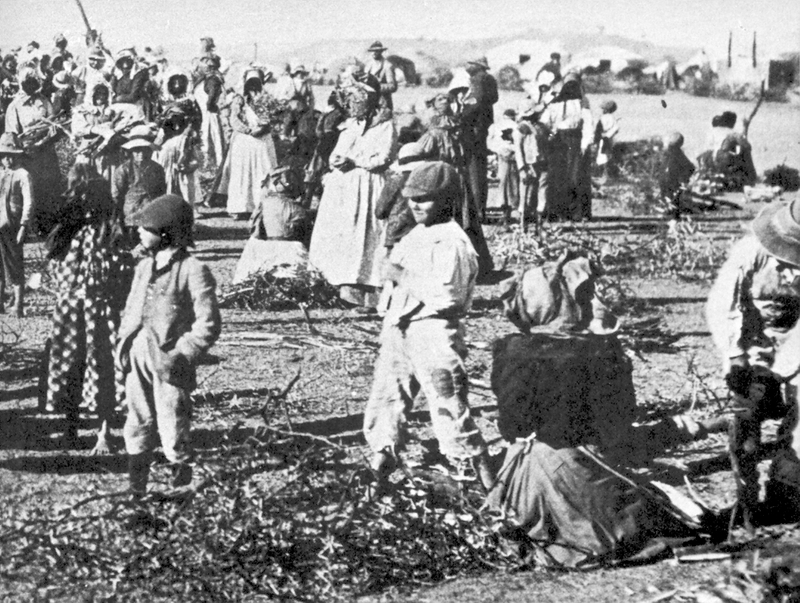 At first the British slaughtered livestock and burned the farms of any Boer family suspected of aiding the Boer military, however, it soon turned into the forced removal and concentration of Boer women and children into detention camps. These camps were often located in miserable terrain with discarded military tents serving each as the housing for multiple families. Everyone slept on the ground as there were no beds and there were only the most rudimentary sanitary or medical facilities. No fruit, vegetables, or milk was provided by their captors and the detained population often succumbed to disease and malnourishment. Of the slightly more than 104,000 women and children placed in these camps, about 28,000 died. The humanitarian world was appalled. [While I was researching this, I found a fascinating database at the University of Cape Town listing Boers held in British concentration camps. You can find individuals HERE (including a number of Boer detainees with the surname Maas)]. The conduct of the British against the civilian Boer population was the subject of universal disapprobation, so it's interesting to note that his written defense of the British cause in the war was the reason Conan Doyle (creator of the Sherlock Holmes) was later knighted. Winston Churchill was himself a famous prisoner during the Boer War. The later prime minister, had temporarily resigned from service with the British military, but was working as a correspondent for the Morning Post when an armored train on which he was present was attacked and derailed by Boer commandos. 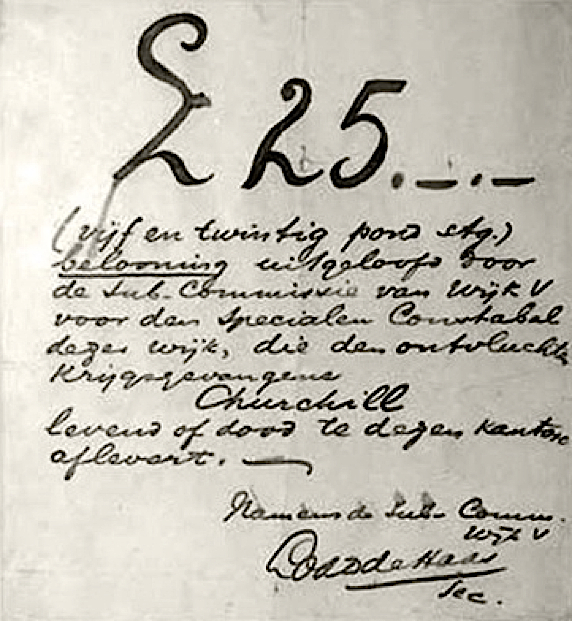 Churchill was captured by Louis Botha (who himself would later become famous as the first Prime Minister of the Union of South Africa). Churchill protested his detention claiming non-combatant status, but as he was armed with a Mauser pistol at the time, he was made a prisoner-of-war. 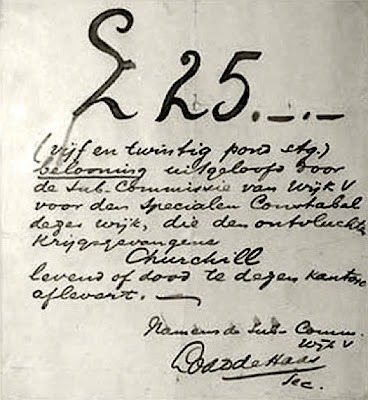 Churchill was imprisoned in the converted State Model School in Pretoria, but effected his escape after four weeks by hiding under the floorboards of his room until the guards went looking for him and then he escaped over a wall. Churchill hid by day and moved by night, hopping rides aboard freight trains headed east. After nine days and about 300 miles, he reached Portuguese East Africa and contacted the British consul. 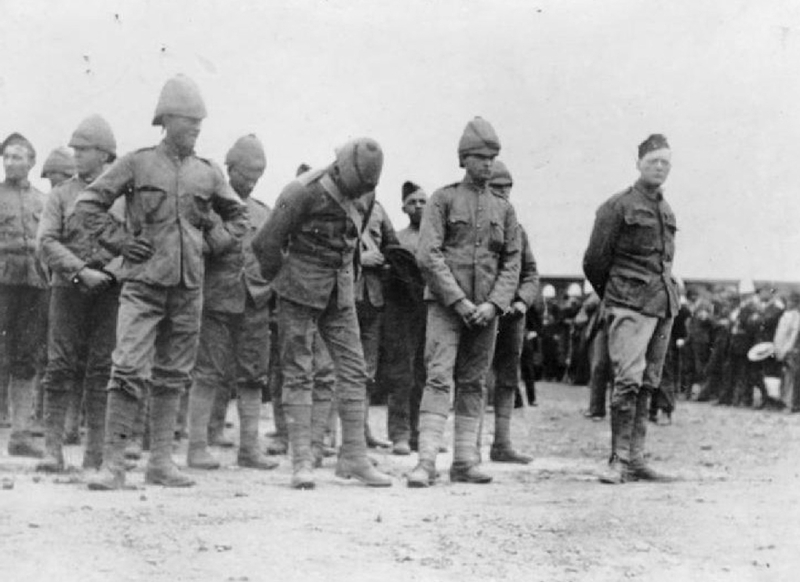 Soon after, Churchill returned to South Africa and joined a colonial unit. He would later participate in the relief of Ladysmith before returning to England and running for Parliament. This brings me to the last person I wish to highlight from the Second Boer War, Breaker Morant. 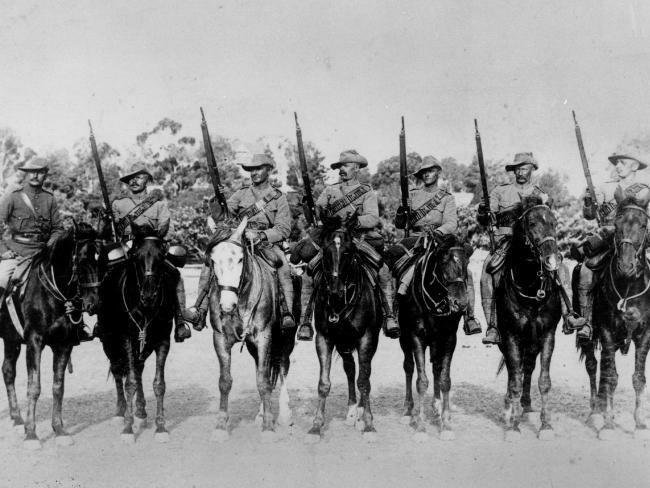 Morant was an Australian cavalryman volunteer. He had formerly been a cowboy (the Aussies call them "drovers") and poet, writing a number of popular ballads. Towards the end of the conflict, the Boers increasingly resorted to guerrilla tactics. To counter these measures the British herded many Boers into concentration camps and also formed irregular units to counter the Boers. These units, which included Morant in their numbers were supposedly given wide latitude by British officials to operate without restraint. 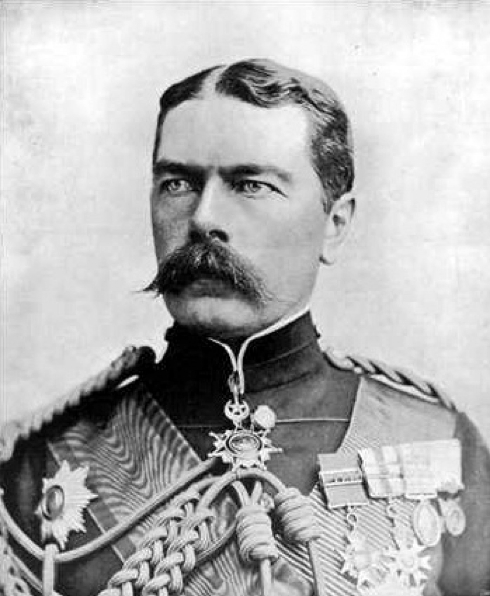 Specifically, Lord Kitchener, the overall British commander in South Africa was reputed to have issued a "take no prisoners" verbal order to these irregular units (Kitchener was notorious for issuing few orders in writing). Morant had become close friends (and future brother-in-law) with Captain Percy Hunt also of the Bushveldt Carbineers. 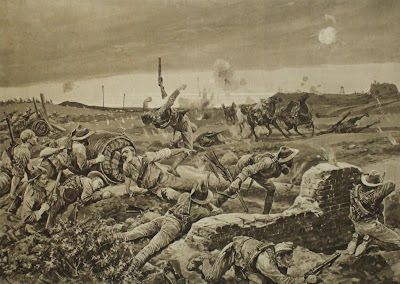 Following Captain Hunt's death in a skirmish with Boer guerrillas, Morant tracked and pursued Hunt's killers. There is debate as to the exact sequence of the events that followed, but Morant certainly ordered the execution of at least one surrendered Boer and had taken part in the execution of a handful more. Another charge against him was that of the killing of a German missionary, Daniel Heese. Heese came across a group of eight Boer prisoners under the guard of Morant's men at a Swiss missionary hospital. Heese spoke with the group of prisoners who informed them that they were scared that they'd be executed. Upon leaving Heese noticed the man had been killed and he told the British commander that he was going to report the incident to British officials in Pietersburg. He rode away with a native boy in his buggy and with a white flag. Both Heese and his charge were later found dead and it was assumed that they were killed to silence his mouth. Morant was the individual responsible for the shootings although he was strangely cleared of these deaths. By this time, the war was winding down, but world opinion was already moving against the cruel treatment of the Boers by the British and the military leadership was coming under increasing scrutiny for the manner the conflict had been conducted. Morant (along with three other Australians and two Britons) was court marshaled for the killings of surrendered combatants. The trials were conducted in several stages and resulted in a dismissal against the senior British officer and reprimands for the junior British officer and the senior Australian officer. 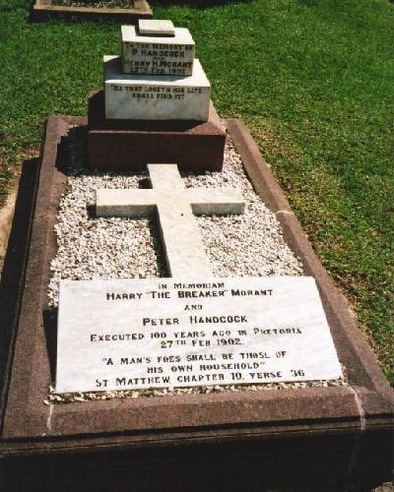 The three junior Australian officers, including Morant, were given the death sentence for their crimes. Morant's lawyer tried to demonstrate that the irregular forces were operating under clear verbal orders from Lord Kitchener to "take no prisoners," but the court was stacked against the accused. There is evidence that crucial information was withheld from the trial, witnesses shipped out of the country, and repeated requests to contact the government of Australia were ignored. Remarkably during the trial, Pietersburg was attacked by Boer commandos and Morant and the other defendants were released from their cells and given rifles. Although they fought heroically and assisted in the defeat of the foe, a petition for clemency was again denied. Kitchener commuted the death sentence of Lt. George Witton, but Lt. Peter Handcock and Lt. Harry "Breaker" Morant were executed by firing squad on February 27, 1902. It wasn't until about a month later that Australians would even hear of the trial or executions. Official records of the closed trial never reached England and have since disappeared entirely and the whole event was a sore spot in Anglo-Australian relations after Australian independence. Witton was eventually released from prison and penned a book titled, Scapegoats of the Empire. 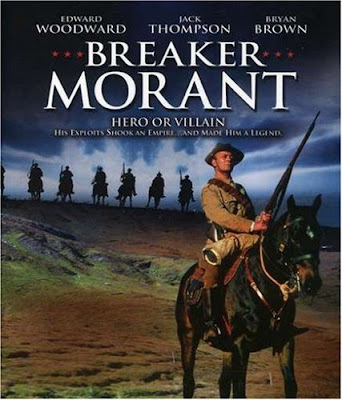 Morant meanwhile became an Australian folk hero and the subject of a very good 1980 film, Breaker Morant. 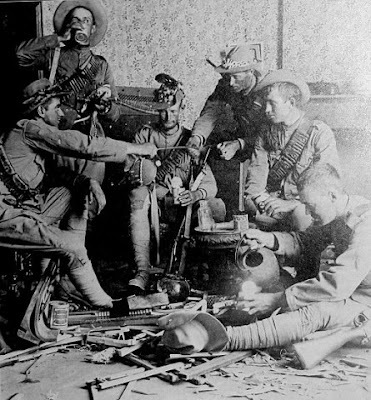 Although heroic individuals emerged from the Second Boer War, the universal condemnation of the conduct of the British forces as a whole led the Empire to abandon its former policy of "splendid isolation" and seek to turn former adversaries into allies (i.e. France and Russia), setting the stage for World War I. My brain is just swirling with all this history. Thanks, Nate. Wow, excellent piece of information! Thinking about the destruction of homes and the wasting of lives makes me feel sad. After South-Africa became independent the Boers came to power by elections, so it all seems so unnecessary. Thanks for the very nice summary of a time and place that I knew a little about, and was curious about, but had never checked out carefully. I retain my earlier opinion, that in this case the British official policy was reprehensible. Breaker Morant is a superb movie. Yayy you're back. And just as educational. Thank you so much for such an interesting blog. Glad you're back. Good stuff!